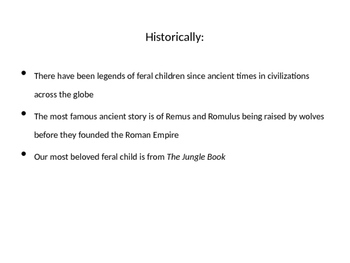 Feral Children are a cross-cultural phenomenon, and are present in both mythological and written record. 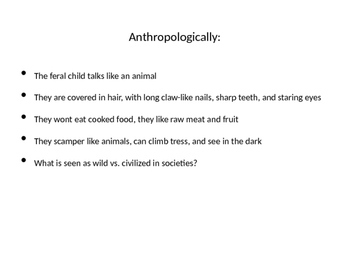 Here, the fascination of the feral child is looked at from the historical, sociological, anthropological, psychological, and finally biological perspective. 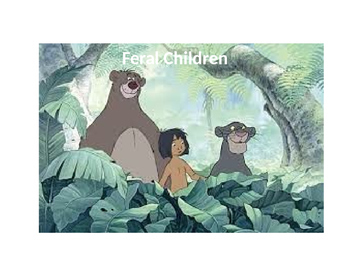 Finally students get to watch a TLC production of a modern day feral child case in Russia. Students were particularly amazed by this video. 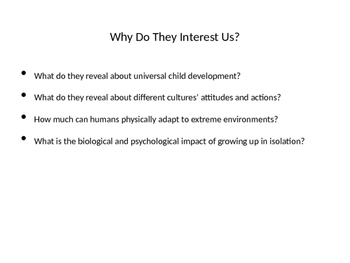 Included is the PowerPoint of notes, and a link to the video.